Dr. Tyler gives talks on various aspects of college admissions including: finding the right fit, gap year options, getting into art school and graduate school admissions. I will be giving a talk at the Lansing Library (27 Auburn Rd, Lansing, NY) on Wednesday November 14 at 7 pm. I will cover tips for visiting colleges, finding a good match, finding financial resources, and a college admissions timeline. 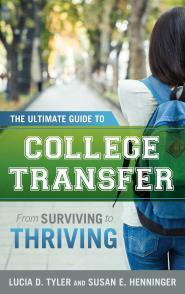 Strategies, tools, and timelines will be covered that are likely to yield the best college choices for students. The importance of college visits, financial plans and a balanced list will be addressed. I will discuss the many new changes in college admissions including the Coalition application, the new financial aid timeline, and the meaning of the new SAT. A workshop will be given on Wednesday April 9th at Ulysses Philomathic Library at 7 pm. How do you decide between an art major and an art school? Discussion of portfolios. What should you look for in an art school or program? Small fee charged to benefit the Community Arts Partnership.